Some aliens land on the Earth to collect plants, and while doing so, they encounter humans. Terrified, they all get back to their spaceship and take off, leaving one of its kind behind. The lonely alien hides in the storage room of a house near the garden. Meanwhile, Elliott, a small boy along with his brother Michael and his friends- Greg, Steve and Tyler, party in Elliott’s house. While coming back to the house from the storage room, Elliott meets the alien and gets terribly scared. But no one believes him when he reports this to his brother and friends. He decides to take on the alien himself, and lures the alien inside the house using food. Elliott becomes good friends with the alien. He calls it ET. He shows the alien to his brother Michael, and his five year old sister, Gertie. They protect ET and do all kinds of playing with it. The ET even learns to speak English when Gertie tries to teach it. Meanwhile, some government agents try to capture this alien because of its abnormal powers. Therefore, Elliott , Michael and Gertie try to save the ET. They develop a communication device so that ET can ‘phone home’. 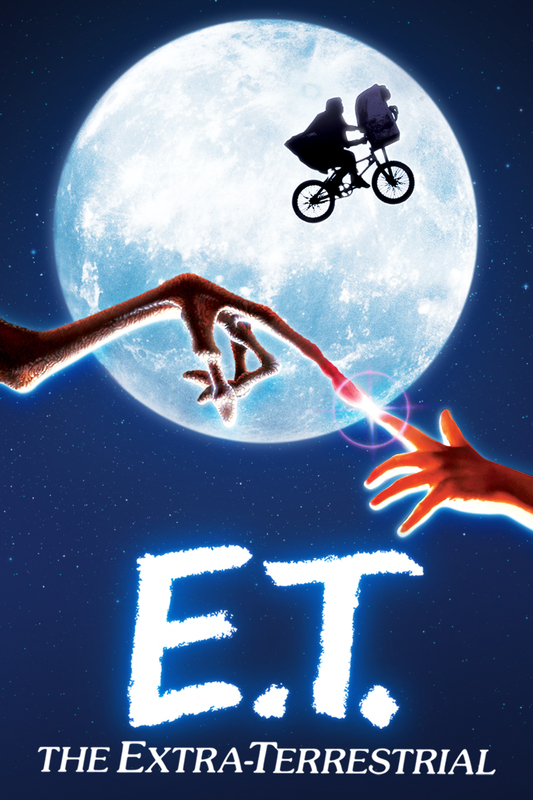 During a ride in the forest with Elliott, ET successfully calls his fellow-aliens for help. When people try to capture ET, Michael, Elliott and his friends transport the alien to its spaceship safely. ET bids goodbye to Michael, Elliott, Gertie, Mary(the mother of Elliott) and goes back home. I liked the climax very much. I also liked the part when Gertie dresses the ET like a girl and teaches it to speak English. The movie is very nice. I liked it very much.